Omar Sosa is an artist whose music is always in flux. 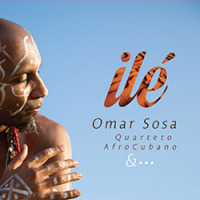 With each new album, Sosa presents new aspects of himself and brings in new collaborators to expand his Afro-Cuban-rooted music. 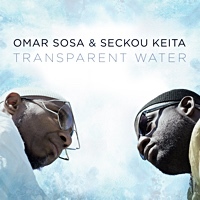 Aguas is no exception to this, as it sees Sosa moving in an opposite direction from his explorations in 2017's fantastic Transparent Water, which, at its core, is a roots music record, with Sosa, and Senegalese Kora virtuoso Seckou Keita, blending Afro-Cuban tradition with the West African. 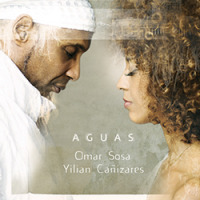 Aguas a collaboration with Yilian Canizares, a Cuban violinist based in Switzerland, represents a futuristic view of Cuba with rich electronic sounds and percussion. The duo of Sosa and Cañizares represent two different generations of Cuban musicians. Sosa is in his 50s, Cañizares is in her 30s. "De La Habana y Otras Nostalgas" is a somber love letter to their home country, and a tribute to expats across the world. 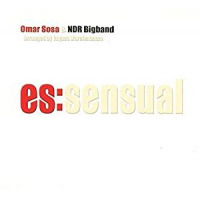 Electronic drums, synth sounds and sampled sounds have a heavy presence throughout, adding texture to the otherwise spare format, with Sosa and Cañizares joined soley by percussionist Inor Sotolongo, Sosa works best in subtleties; there are few artists who can make a two-note fill sound as good as he does. His playing on "Milonga" exemplifies how sometimes whole-note piano chords over an electronic beat can do a better job than even the most stunning displays of virtuosity. 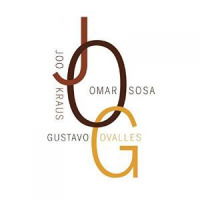 "Sonrisas De Ninos," driven by Sosa's light and airy electric piano, features the only acceptable use of a children's choir in jazz since Vince Guaraldi's "Christmas Time is Here." The choir adds a nice layer of innocence and nostalgia to the somber track without being overbearing, a very hard balance to strike, but Sosa and Cañizares achieve it. Sosa is an artist who thrives on collaboration and Aguas is no expectation. Cañizares's graceful vocals are the perfect accompaniment to Sosa's delicate piano playing. As a violinist she employs a wide variety of techniques from staccato pizzicato lines to elegant bowed phrases, that keep the music fresh throughout. 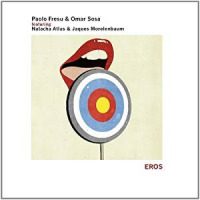 Cañizares and Sosa push each other in new directions while playing off their shared Afro-Cuban roots, making Aguas a beautiful addition to one of the best catalogs in modern jazz.